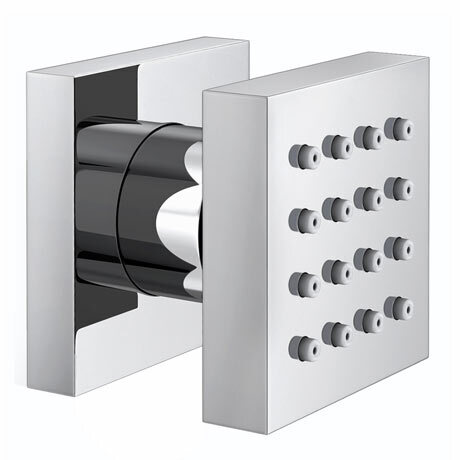 A stylish adjustable anti-limestone flat square body jet with 16 nozzles, the Milan body jet has been constructed from durable brass with a quality chrome plated finish. Shower body jets add a luxury touch to your shower. Perfect for creating a shower that massages you. Although sold individually, body jets are normally used in sets of four or six and require high flow rates when used in conjunction with an overhead shower.